Dr. John W. Batey III of New Whiteland, Indiana, died the afternoon of Saturday, June 23, 2018. He was 75. John was born October 20, 1942 in Chicago, Illinois to John W. Batey II and Frances (Oslund) Batey. He grew up in the areas of Chicago and Dayton, Ohio, surrounded by his five younger brothers and sisters and many, many beloved family pets. John accomplished his bachelor’s and master’s degrees at the University of Dayton, and earned his Ph.D at Purdue University. His postdoctorate work was done at Penn State University in State College, Pennsylvania. A lifelong student and educator, John was a professor of biology at Seton Hall University, in South Orange, New Jersey, from 1972 through 1978. In 1978 he became the chairman of the Department of Biology at the University of Indianapolis. In 1998 he was instrumental in the foundation of UIndy’s School of Adult Learning, acting as their associate dean until his retirement in 2009. John married Louanna Plemel Batey on January 24, 1969 in Rock Springs, Wyoming. Together, they raised three children. He loved all things science but had many other interests, primarily photography and woodworking. He also embraced the passions of his children and grandchildren, becoming an expert on subjects as diverse as soccer, cross-country, track, gymnastics, music, journalism, and the visual arts. He applied the problem-solving and critical thinking skills he honed as a scientist to his everyday life, constantly questioning the status quo and finding solutions to seemingly impossible problems. He could fix anything. Concerned with the environment long before it was fashionable, John spent his weekends and vacations with his family exploring this country’s natural beauty. 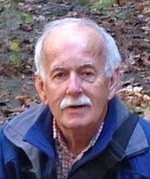 At home, he was an avid gardener and open space advocate. He was also the driving force behind New Whiteland’s earliest curbside composting and recycling efforts, implemented years before far larger cities considered such matters. He spent every day with his six grandchildren Michael Shirley, Amelia Shirley, Avalin Shirley, Maggie Shirley, Madelaine Shirley, and Aedan Shirley. His sense of humor and play made him a natural with kids of all ages, and his generosity with both his resources and his time has made an incalculable impact on the lives of his family and his many students. Survivors include his wife Louanna; his daughter Eve Lyn Batey and her husband Tim Ehhalt of San Francisco, California; Angie Shirley and her husband Matt Shirley of Whiteland, Indiana; and Patrick John Batey and his partner Marjorie LeWit of Brooklyn, New York. He was preceded in death by his parents, his brother Truman “Terry” Batey, and his sister Kristine Batey; and is mourned by his brother Gary A. Batey (Karen), sisters Melinda Stan (Richard) and Janet Filer (Jeff), and several nieces and nephews. Father Steven Schaftlein will conduct a Mass of Christian Burial on Friday, June 29 at 11 a.m. at St. Rose of Lima Catholic Church (114 Lancelot Drive Franklin, Indiana). Friends may call from 4 to 8 p.m. on Thursday, June 28 at Swartz Family Community Mortuary and Memorial Center (300 South U.S. 31/Morton Street in Franklin), or on Friday at St. Rose from 10 a.m. until the service begins. Ennichement will take place at the Resurrection Garden at Saints Francis & Clare of Assisi Catholic Church in Greenwood. In lieu of flowers, John would be pleased to know that memorial contributions were instead made to the Refugee and Immigrant Center for Education and Legal Services (RAICES) Family Reunification and Bond Fund, which can be found online at bit.ly/RAICESbondfund. Online condolences may be sent to the family at www.swartzmortuary.com.